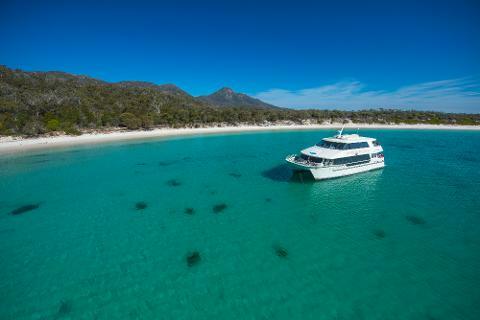 The small-town of Coles Bay sits right at the gate of Freycinet National Park on Tasmania's mid-east coast. 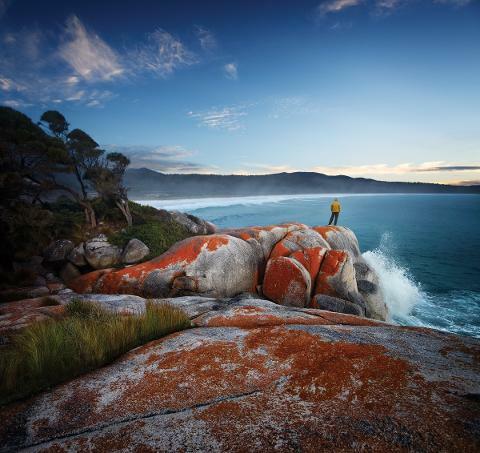 This Peninsula is a Tasmanian gem featuring crystal-clear waters, white sand beaches and towering granite lookouts. 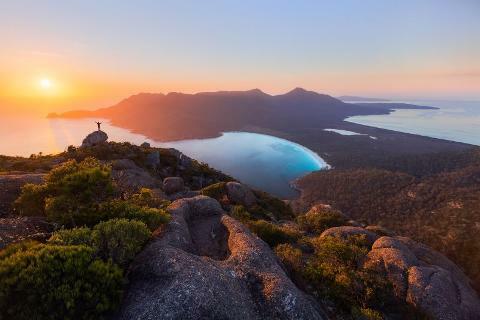 The citizens of Tasmania recognized the stunning beauty of the Freycinet isthmus to declare it a National Park more than a century ago. 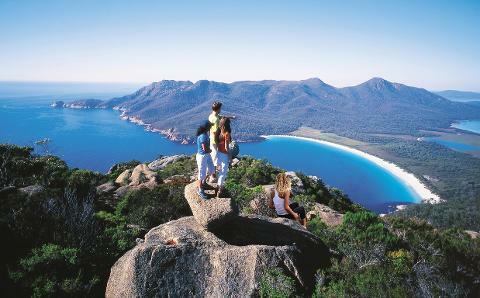 Freycinet was declared Tasmania's first National Park along with Mount Field National Park back in 1916. This protected strip of land is as pristine as coastal wilderness gets and you can experience all of its glory at Friendly Beaches. The dirt road that leads to Friendly Beaches can be found 26 kilometres north of the town of Cole's Bay. You'll have to drive a few minutes on a dirt road to get to the carpark so make sure you have a reliable car. 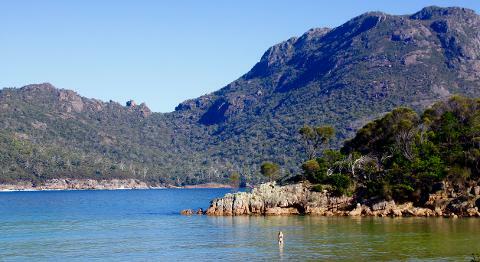 From the carpark, it's just five more minutes walking to the secluded beach. 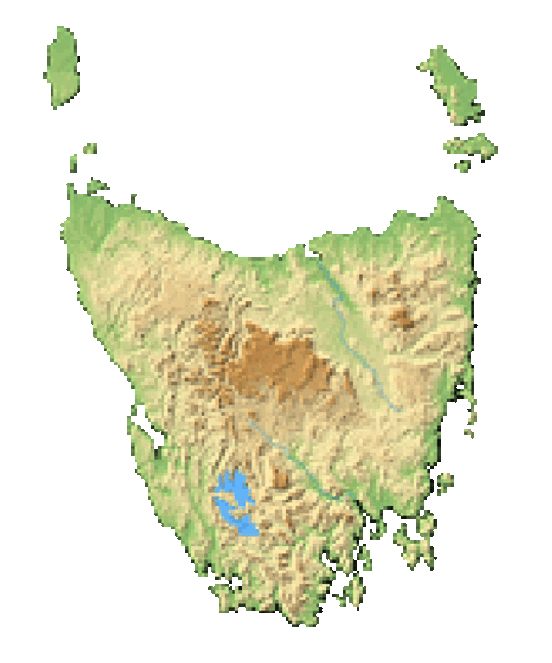 The drive from Hobart is nearly 2.5 hours over the course of 178 kilometres. 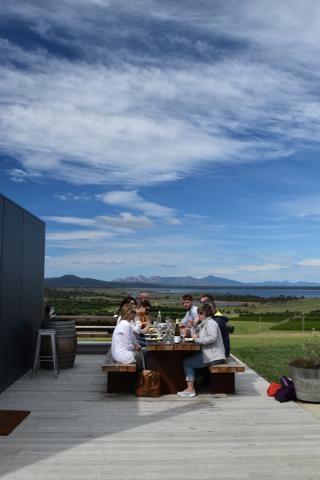 Launceston is 160 kilometres away and that drive takes about 2 hours. Devonport is a little less than 3 hours away sitting 241 kilometres to the west. A primitive campground begins at the carpark at the beginning of Friendly Beaches Walk. 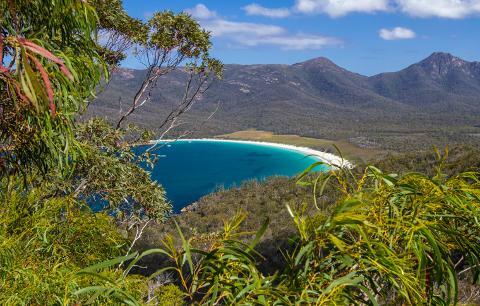 You can follow a dirt road that turns north along the coast for about a half-kilometre where you'll find some campsites spaced out along the way. These campsites lack many amenities -- barbecue pits, picnic tables and running water -- but there is a toilet for the entire campsite. There are also a variety of walking paths down to different beaches that make up the Friendly Beaches. 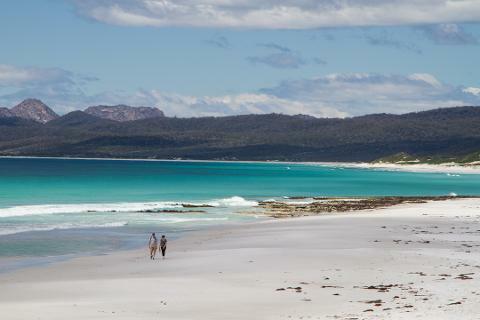 You can even walk 2 kilometres to the north along the beach to explore the entirety of what makes up Friendly Beaches. The campground is first-come, first-served with no additional fee. 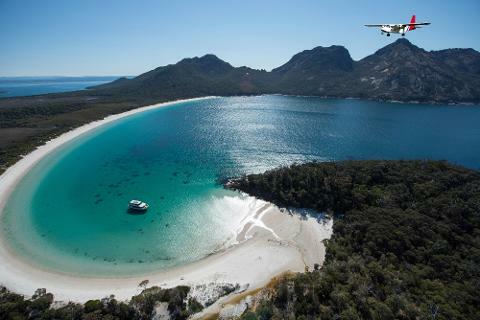 Of course, you'll have to pay an entry fee for Freycinet National Park. 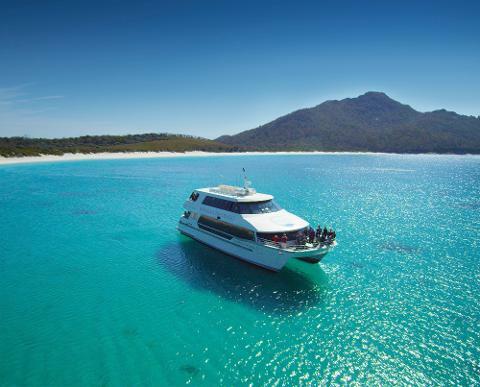 You'll find toilet facilities near the carpark and the Friendly Beaches Campground. 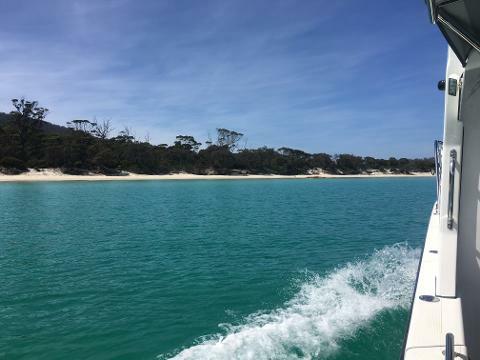 You'll have to get the rest of your supplies, including water, in the town of Coles Bay some 24 kilometres to the south. This is a rugged strip of coastline with no lifeguards. Swim at your own risk. 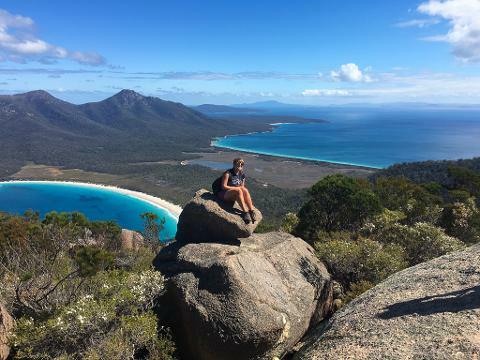 No pets, firearms or chainsaws are allowed within Freycinet National Park. The dirt road that leads to Friendly Beaches can be difficult for two-wheel-drive vehicles with low clearance.